Now that the Halloween decorations have come down, I'm itching to start decorating for Christmas. However, I love the Thanksgiving season and like to give it it's proper due. So...my full-on Christmas decorating will wait until after Thanksgiving. In the meantime, removing most of the pumpkins and the orange decor inspired me to create more of a neutral palette in my living room. And what is better than burlap? I decided to create a mixed burlap tree that could fit into any season because of its color scheme. While I was cutting my burlap squares, I decided to add some drop cloth material to the mix. I'm really happy with the mix of textures and colors. Wanna make one yourself? Here's what you'll need. Affiliate links are provided for your convenience. You can find my full disclosure policy here. Do yourself a favor and get the cutting out of the way because it's not fun! Make separate piles of your fabric. Once you have a decent amount of squares cut, get your glue gun heating. Starting at the bottom, take a square, put your pencil end into the middle as shown, add a drop of hot glue and attach it to the cone. Continue to add squares to your cone, mixing the materials and the pattern. Glue them tightly together for fullness. I opted not to add in a straight line but varied my pattern so it would be more pleasing to the eye when it was complete. Once I got to the top, I went back and filled in any bare looking spots. I love the fullness of this project! 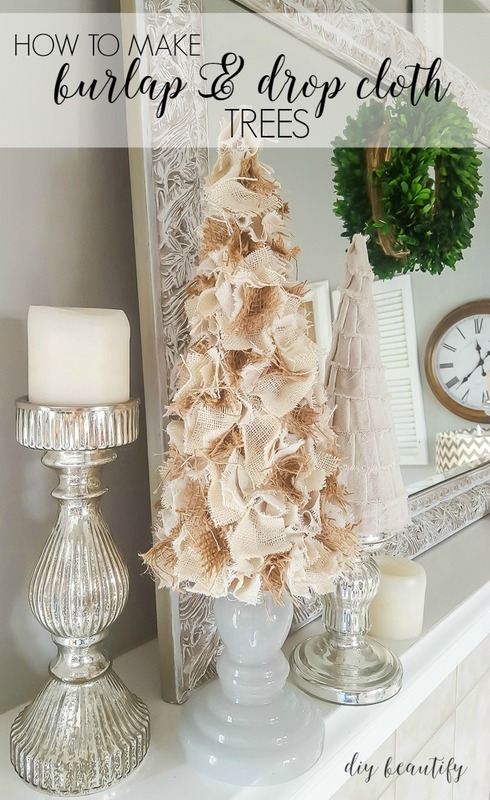 This burlap and drop cloth tree looks fabulous on my neutral mantle. Did you notice the smaller tree, the pleated drop cloth tree? I made that today as well. Isn't it totally adorable? 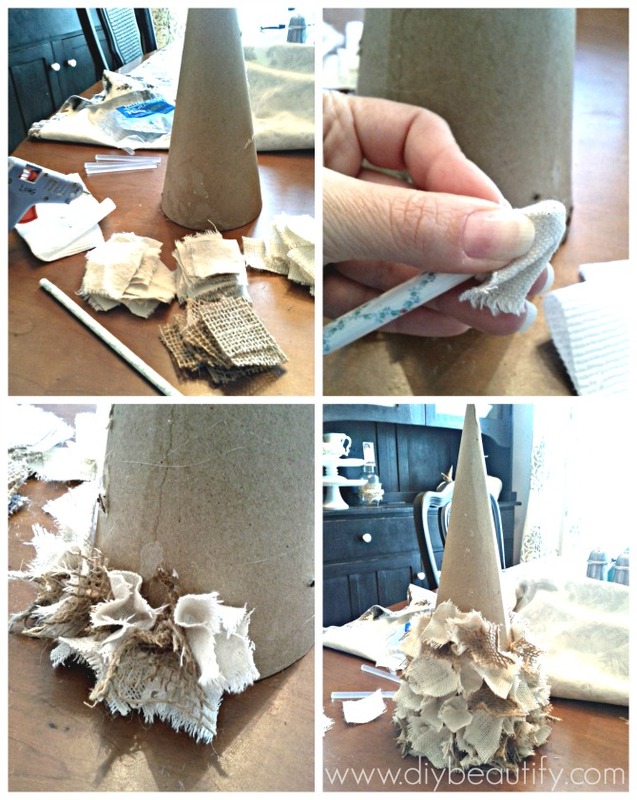 I just hot-glued strips of drop cloth in a clockwise pattern around a paper mache cone, gluing little pleats into place as I went. The other BIG burlap piece that I haven't mentioned yet, but you've probably seen on the blog before is my large 'Be Still And Know' sign. It started, as many of my projects do, with a thrift find. In this case, it was a large frame that was empty when I bought it. I painted it and decided to make a large, meaningful sign for my home. Mr DIY cut a piece of 1/4" plywood to size and I wrapped it with burlap and then staple-gunned it into place in the frame. I chose a part of this verse, Psalm 46:10 that says, "Be still and know that I am God." It is a reminder to me that no matter what is going on in my life, I can remember that God has my back. I can slow down, stop worrying and fretting and trust Him. He hasn't let me down yet! Putting this in a prominent place in my home is a visual reminder to me, my family and my guests that I believe God is bigger than my problems. I made a DIY stencil out of vinyl using my Cricut cutting machine and then simply painted the verse on using black acrylic paint. I love the contrast of the white frame, the texture of the burlap and the black paint. I love the mantle it looks perfect in neutral. I'm going to try the first tree you showed it's adorable. Why thank you Di! I find the neutral so calming...and I so need that in my life right now :) I hope you try the tree, it's easy, just a little time-consuming (a couple hours..but you certainly don't need to do it all in one stretch!). Thanks for your kind comments! That is gorgeous!!! Thanks for sharing on DIY Sunday Showcase!! Gorgeous! I love burlap and make purses out of it. Mantle is stunning. New Follower on Bloglovin! Wow! 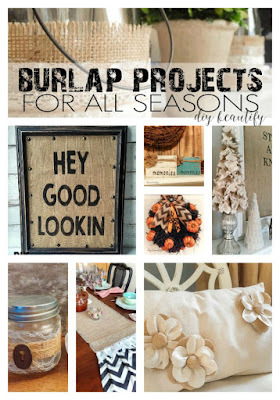 I just love the burlap trees and the "Be Still and Know" burlap print. I think you have inspired me to make some of my own! I found you on the Work It Wednesday link party--glad I did! Yes Tasha, you should totally do it! Burlap is so cheap and fun to work with & I love the texture it gives! Don't discount drop cloth either though!! Super cheap, but when washed, oh my...like heavy cotton duck and perfect for curtains, slipcovers, or any project really :) Thanks so much for commenting! I love both trees! Thanks for sharing....Oh my I have so many projects in my mind and can only get so many done. It is overwhelming......check out my blog..simplebutfabulous.blogspot.com Thanks! Thanks Brittany. I keep all my scraps too..until inspiration strikes :) Glad I could inspire you and I would love it if you'd come back and link up your tree when you're done...I'd love to see it :) Happy crafting! Wow, I could totally see picking up these at the store. They're so polished and so pretty. Excellent job! These look so great! 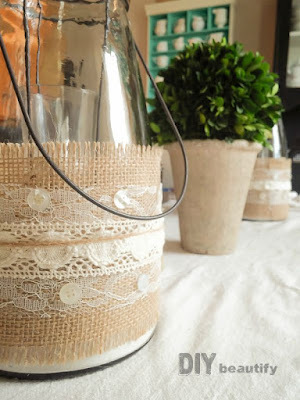 I have had a bit of obsession with burlap lately and have yards of off white left....hmmmm....I see a tree in my future! Thanks! I know what you mean...I have more burlap projects in my head :) Hope you enjoy making your tree! A white one will be very pretty. Love it!! Think I might try one tonight! I have everything on hand. For once, a project I don't have to scramble to find supplies! Pinning, love it. I'm so glad! I would love to see the completed tree :) Thanks so much for stopping by and leaving a comment! I've been doing the same thing!! 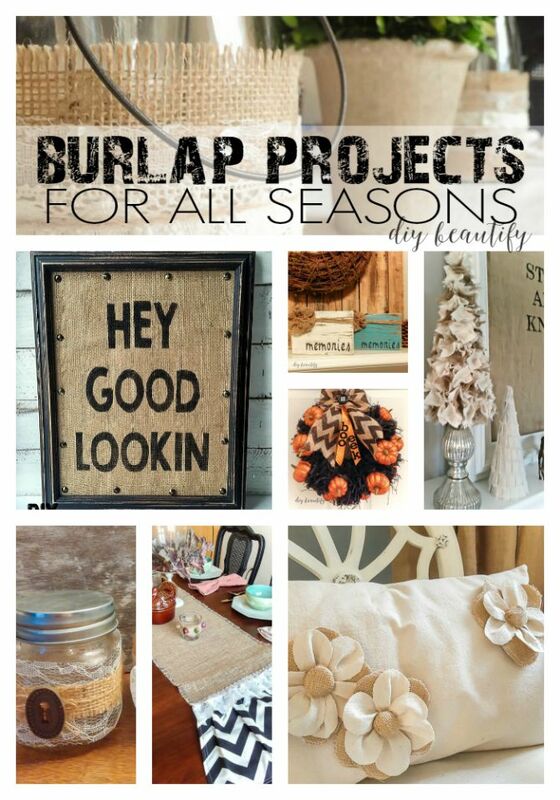 Come over and see my burlap projects! Loving them! Love your trees, and I vote for the mantel also. Your sign is lovely! What a great tutorial. I am going to give it a try! Thank you for sharing.